My name is Jacob Beckley. On October 2nd, I solo-rowed across Lake Michigan to bring awareness to childhood cancer research. 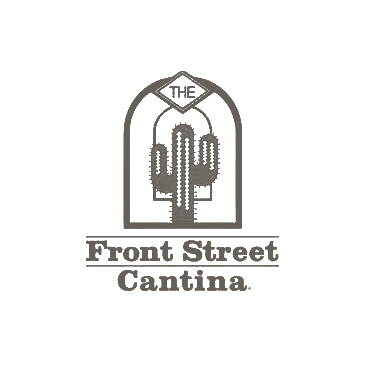 Tomorrow, Friday the 14th, is the Post-Row Party! The boat will be on display along with appetizers, cash bar, auction items and a short presentation. All are invited to celebrate this cause, and all that has been accomplished. Although not necessary, please RSVP at Post-Row Party. Being so close to the goal is exciting and means so much to the children effected with cancer. However, with so little time remaining to raise money, I am worried we won’t make this year’s simple goal. Why does this really matter? Just ask the parents of the 100 children’s names I had on my boat honoring them and the legacy they left behind. Every single one of their parents would have rowed straight across Lake Michigan with zero training and zero support if they knew that they would have just one more day with their child, would you? All donations go straight to research to help these kids. What I have accomplished with this row is nothing compared to what they and their families go trough every single day. Please help us reach this goal, in perspective, it’s so small! We are right there, and only one week remains. Please share this cause with your friends, skip that latte, buy those extra shoes later, skip late night munchies. 🙂 It’s so easy to make a difference, make yours… I’m making mine. Remember that there is a post-row fundraiser on October 14. Please support Lurie Children’s and cancer research. That was a huge waste of energy. Weather conditions forced us to turn around. We will head back out in a while and give things a moment to die down. We did however have the opportunity to meet Joanna and Michael Sepic! Such an amazing couple and a huge fan of Lurie Children’s. Keep monitoring the GPS. Stay tuned for more updates. Today has been my last day of preparation. I have gathered the final supplies, installed all of the electronics and packed everything up. Within the next 30 minutes, I’ll be on the road heading to Michigan to spend the night. Things are finally coming to the end… This has been a long journey, and I hope all this training and preparation is enough. Thank you for all the support over the past few months. Please continue to share this cause with your friends. We are close to the goal, and only 24 hours remain…! Today, I spent the day in St. Joes, Michigan. I had several interviews and a press conference with Senator John Proos and Tony Mandarino. The Senator was gracious enough to help coordinate several logistics and final details within his community. Tony, a silent hero, lost his son Alex to Neuroblastoma. It was great to meet both of them and receive well wishes from the community. Due to extremely dangerous and unpredictable conditions on the lake, the row has definitely been moved from tomorrow the 30th to Sunday the 2nd. I will be leaving from St. Joes at 7pm and will undertake the most challenging portion of the row first, the night row. Earlier in the day, as I was looking out over the lake and watching the massive swells roll by, I could not help but get butterflies in my stomach. I know I have done everything I can to get everything in order, but at the same time, I wonder if it was enough. I will use the next couple days to ensure that I have fully prepared, mentally, physically and with the boat. Thanks again for all contributions, notes of encouragement and support I have received. I could not be at the point I am today without all of this and each of you. I will release this URL again before the row. For those interested in tracking my progress in realtime, you can visit https://track.rs/row4acure. This site will be updated ever minute with the latest position. Pease remember my motto throughout this journey, One man can make a difference! I believe I am making mine. Since this journey began, this cause has reached over 100K unique people online, not to mention those reached via word of mouth, radio and tv. Please help me during the row to spread more awareness and help me reach my goal. After speaking to several experts in weather and Lake Michigan conditions, the row has definitely been moved from Friday the 30th. The soonest the conditions will be adequate enough for the row will be Sunday evening. Based on what I have seen over the past few weeks, that may be subject to change as well. Keith from Land Craft, who is currently the chase boat, is on call and ready to go whenever the conditions open up. With that said, we are in need of another chase boat that has a swim deck on the back and a working radar. If anyone is willing to go on this epic journey with us, please let me know. Tomorrow, a press conference will take place in St. Joseph, MI. I will be sure to post some videos and photos of the event. I was shopping for battery packs last weekend and came across a display in the store for Ventev, the makers of mobile accessories and batteries. 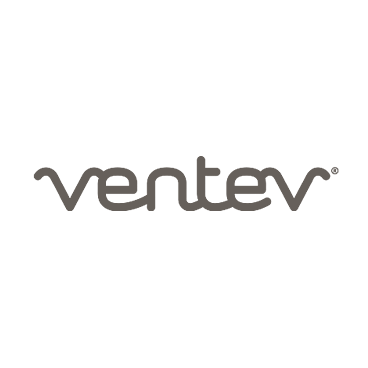 I light bulb went off in my head and I realized that Ventev is one of Fusion92’s clients. A short text later… and I had a commitment to send some units to power the electronics for the row. Today I received the necessary power devices from Ventev. These will definitely power all my electronics for the entire row. It’s been a while since I last shared some news of the row. So much has happened over the past week. Everything from speaking at Lurie Children’s, receiving new sponsors, being interviewed on the radio, to being recognized by a Senator of Michigan advocating for childhood cancer awareness. Yet, there is still so much more to do! With less than nine days until the row, we need all the help we can to spread the word about Lurie Children’s, underfunded cancers and Neuroblastoma. I am amazed and so grateful at how much support is coming from so many people and organizations. Thank you again for helping share this story and bringing awareness to this flaw in our society. Children are the future you and I, let’s make sure they are here to take over for us. I just returned from a pre-taping of a segment to be broadcast on 101.9fm the MIx. This segment called MIX Matters and focusses on the solutions, improving the lives of our community. I am an every day citizen trying to make change. It will air on Sunday at 6:30am. Not being directly impacted by Neuroblastoma, I am doing my part to make a difference for the families and those directly affected by this horrible disease. In 11 Days, I will solo-row across Lake Michigan in a homemade, one-person boat. 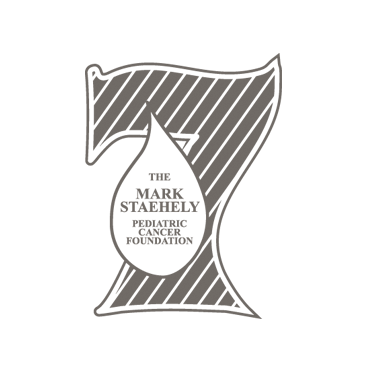 This is my way of bringing awareness to this awful disease and the great care that they receive from Lurie Children’s and the dedicated team of Dr. Mary Beth Madonna. Her research is making a significant impact towards finding a cure. Everyone can make a difference in the lives of a child with cancer. Everyone can be a positive role model of support and care. Even in the littlest way, YOU can “Make Your Difference”. I am operating in high gear, racing towards the row. The campaign however, has lost some momentum. Please share this cause with your friends and families. We are creating so much awareness, but we are already halfway through childhood cancer awareness month, and 15 days until the row. Since the launch of this cause, we have reached over 100K unique people on the website alone. So much has been done, so much has been accomplished, yet so much remains. And, when this is over, there will be so much more that remains. Please help spread the word about Lurie Children’s, Neuroblastoma and childhood cancers. Everyone can make a difference. In the end, where we are is so much further than where we’ve been. Make your difference! First of all, the boat was sight unseen, more important, the request was from a random and desperate guy. 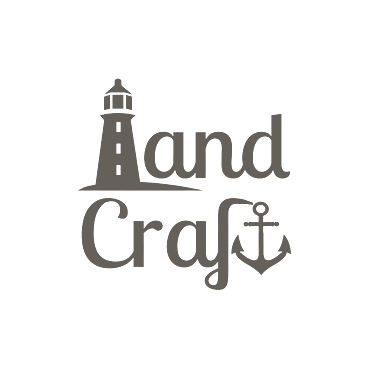 LandCraft had some great ideas and there work speaks for itself. You can tell when you meet someone if they are like minded, out of the box thinkers, creative and good hearted… LandCraft was just that… LandCraft truly stepped up in an unconditional and thoughtful way to help this great cause. Throughout this journey, I continue to be amazed by the amount of positivity and support that keeps surfacing. My passion for helping childhood cancer research and Lurie Children’s is fueled by the love and support I receive from all those around me. This cause has touched the lives of over 100,000 unique people and traversed more than 15 countries. Great things are happening and awareness is being generated. Thank you, everyone, for your support, contributions and thoughts. Another successful day on the water. I made some modifications to the boat that really improved things… I have a few more things up my sleeve and should have them in place tomorrow. I rowed on the Kankakee River today and then on the Illinois River, quite a long distance. Toward the end though, I had to finish off the last two miles being towed by a boat, it started to get dark. I will install some lights tomorrow that should help with people seeing me on the water. I am also hoping to get some GoPro footage tomorrow. I am not exactly sure where I will be, most likely it will be Lake Michigan. I was able to get the boat on the water today. I rowed for 8 miles. It worked well, but I will need to make some adjustments to the height of the rigger and the oars. I have a couple kinks to work out in order to allow me to be on it for an extended period of time. Here are some pictures of the maiden voyage. On our way! Thanks for all the contributions and wishes of encouragement. Giving birth is painful, I was in labor for 38 days. The boat is finally leaving the garage… I am not exactly sure for how long… Tomorrow, I will put it in Lake Michigan for the first time followed by a short trip to the Northwest Suburbs to get measured for the sponsor logos. I feel like there is so much more to do, and frankly, there is. I have a list of supplies I am putting together of things I already have acquired and things I still need to get. Things like a used car battery, seat cushion, lights, etc… If anyone can think of anything I may need and wouldn’t mind lending to me for a day or two, please let me know. Tomorrow should be a good day, some big things are happening, I will share the progress as it happens. Thank you everyone for the generous support in helping get closer to reaching the goal for Lurie Children’s. This entire experience has been so difficult, yet so rewarding. If you were to tell me a year ago that I would attempt to row across Lake Michigan and build my own boat, I would have said YOU were crazy. As it turns out, I am doing just that… You never know where life will take you… I can assure you that one person can make a difference! The boat was finally painted with the gelcoat, but I needed to add one more coat, that was a major mistake… Not knowing what I am doing is making this really, really difficult. I may need to repaint the boat at some point. For now, I can use it as-is and get on the water. It doesn’t look pretty at the moment, but it will before the row. A lot of new contributions have come in over the past few days, thank you for your support for me and for this cause. Today I came home to find that my Mom and Dad sent me some rowing gloves for training and the row. Thank you for thinking of me, and my hands! I was up at 2 this morning and at the gym by 3… It’s been a very long day. With 30 days remaining, I need to maximize 100% of my free time to prepare, train and fundraise. Please keep sharing this cause, hopefully a primary sponsor will step up before the boat paint and graphics are finalized. Unfortunately, there will need to be a cutoff of next week, or the boat will need to be redone if a sponsor signs up. If you know of any companies that are interested in making a difference and support childhood cancer research, please share the website. I am completely done with the first pass at painting the boat white. It’s not the best paint job in the world… then again, it’s not that great at all. I should have asked for some help with the gel coating as I don’t know what the hell I am doing. Since I am out of paint, I will either leave it incomplete, like it is, or buy another gallon to finish the remaining coats. I was also able to assemble and install the rigger today, which I have since removed to finish the painting. Next, I will move on to the rowing seat and install the hardware. The hope was to paint the top deck to be the color of the primary sponsor, but I have not yet received one. I know 10K is a lot to ask for, but it is going to a great cause, AND you get the boat for a tour or your showroom. Or, if it is better, the boat will be auctioned to raise additional funds for Lurie Children’s If you have any other ideas, please let me know. The boat is being painted! I have never applied gel coat before. I guess for that matter, I have never built a boat. I sure hope I am doing this right. I’ll find out soon enough! I applied the first coat tonight, and in a while, I’ll apply the second, then another, and another. When I am done with all the coats, I’ll apply one final one with a styrene additive so that I can wet sand everything. The white is showing some imperfections in my sanding work, but it’s my first boat, and I’m doing my best. I thought I would be at a point this weekend to try the boat in the water, minus paint. I didn’t quite get there, and the paint did not arrive… I worked on the rigger and sliding seat again this weekend and built the top hatch. I still need to fiberglass the hatch and cut the rigger mounts. I also cut the access ports for additional storage during the row. If you have not already seen it, the Current Argus newspaper in Carlsbad, New Mexico wrote a front page sports article about the row. You can view it here Current Argus. Now that the boat is nearing completion, I will reach back out to the media here in Chicago who showed interest in doing stories. As I am getting closer to the day, I have started to assemble the gear and supplies needed for the row. I already have gathered much of what I will need, but here is the shortlist of what remains. If you have anything that you can lend for the row, or know of any companies who want to sponsor something, please let me know. Things are still moving a bit slowly, I have not had much time to work on the boat. I was able to finish the first complete pass at sanding. This pointed out a couple areas where I needed to re-apply some epoxy. I’ll give this a light sand tomorrow and patch up any remaining areas that need some epoxy. The paint should arrive tomorrow, pending any other issues, I can start painting this weekend. There are a few additional items I need to finish, such as the cargo cover and cockpit sanding. I received a surprise visit from a donor today bearing gifts, thanks Kristina! I need to get this boat in the water as soon as possible… I was planning on building some stabilizing outriggers, but I am not sure I have the time. Hopefully, I will not need them for the row. If anyone wants to help out with them, let me know! I need to save some time and focus on the rowing. I also had an interview from a reporter today. Once the article is published, I will share it. In regards to other media and press, I am reaching back out to those who showed interest, now that the boat is nearing completion. You know that you work for a great company when they have your back, both in and out of work. This morning, my company announced an employee match on all contributions to the campaign. 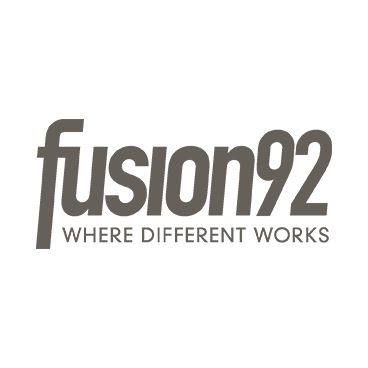 Thank you Fusion92 team for all the encouragement and generous contributions, it will take a team effort to help achieve my goals, and we are almost there. Tonight, I was able to complete the building of the rowing seat and the outrigger, I still need to stain and fiberglass both tomorrow. I am moving slower than I hoped, these last finial details take longer than expected… 80/20 rule applies with more than just programming. I just applied the second coat of epoxy. I will apply one or two more coats throughout the day, then it should feel like glass. I was also able to get the frame built for the rowing seat… But I still need to cut several large holes in it so that I can lose a couple pound on the overall weight. Then, I need to buy or borrow a table or handheld router. If anyone has one I could borrow for a day, please let me know. 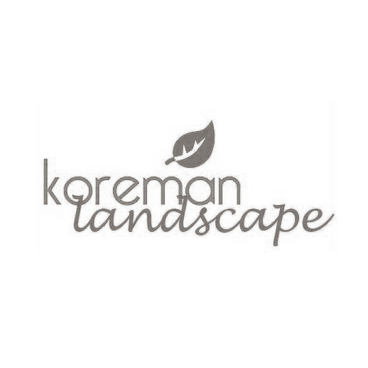 Or… if there is a company that would like to donate or rent one, please let me know as well… Maybe one of my clients…? The top deck is glassed! After 4-6 hours, I’ll apply the second coat, then a third. In the meantime, I am going to start the construction of the rowing seat. Things are getting really close now! I am starting to apply the fiberglass to the top deck this morning. You can see the progression in the photos below. Later today, I’ll share the finished deck! Tonight was an easy night, I prepped the deck for the fiberglass application tomorrow. This process takes too long to complete in one night, so I needed to dedicate a full day to it tomorrow. So tonight, I filled some gaps, evened out the lips and smoothed out the seems. Tomorrow will be a big day, once the top deck is fiberglassed, the boat is nearly complete, minus paint. While I am waiting for the top deck to cure, I’ll begin construction of the rowing seat and outriggers. This may take longer than a day, but I need to get start as soon as possible. Tonight, I was able to finish planing and sanding the deck and inner cockpit of the boat. Tomorrow night I will glass the deck… I received the additional epoxy today! While the deck is curing, I’ll start to design and build the rowing frame and seat. I am in the final stages of the build… Then in a couple weeks, I’ll paint the boat. I am still waiting to see if I will get a primary sponsor, but time is running out and I will not be able to wait much longer. I do think I may have a couple sponsors in the running right now! I also started a new sponsorship today, a “do you really need that coffee” sponsor. I’m asking everyone to dig deep and grab those few dollars…. Give up the latte, buy a regular coffee instead. If 1000 people contribute for this sponsorship level, EVERYONE gets their names commemorated on the boat! That’s an amazing opportunity for people to leave their legacy on a forever lasting momentum. Please think twice! $5 – Drop The Latte! We are getting close to the date. I have been working out continuously, building a boat and doing as much research as possible on the weather and lake conditions. I am worried that I am running out of time, but I am confident that if I keep things up at this pace, I will achieve the goal. Thanks again for all the support. Although the financial contributions will go a long way to help with the Neuroblastoma cancer research, I selfishly appreciate the emotional support, I need it. This row will be the most physically and mentally exhausting achievement of my life, I hope that my effort will help raise awareness of Neuroblastoma and the great work that Lurie Children’s accomplishes everyday. I added the remaining coats to the outside hull today and completed the interior before breakfast. After that, we took a drive to the opposite side of the lake to scope out a launch location, or possibly a destination pending the currents and winds. Once we returned, I finished planing and sanding the interior cockpit walls so I can measure and trim the top decks tomorrow night. Since I am almost out of epoxy, I will need to wait for a new shipment to be delivered before I can fiberglass the decks. Getting really close, but I think its all about the details now and less about speed. This has been a long process of, hurry up… and wait… and wait… and wait… I flipped the boat over in order to install the interior wall support beams and get the boat ready for the installation of the top decks. Things are taking a lot longer than expected as I need to wait for everything to cure before moving on. In the meantime, have created a new site for Row4aCure to provide those without Facebook an easy way to see the progress and receive updates. You can see the new site at http://www.row4acure.com. Let me know what you think. Tomorrow, I will complete the interior of the boat and adhere the top decks. I don’t think I will have time to fiberglass the top, but I will get everything ready to start this on Monday night. Then, while I am waiting for the fiberglass to cure, I will start building the rowing seat and oar outriggers, I need to have these ready and installed before I can paint. Once all that is completed, I need to give the boat a very thorough sanding, and it will be ready for painting. Unfortunately, I need to wait for two weeks before I can apply the actual paint…!!! Much longer than I originally thought. However, I can use the boat in the meantime while the epoxy cures. Sooner the better as I need to get on the water and training with the actual boat. What a long night… I was able to apply the fiberglass and a first coat of epoxy. Tomorrow, I’ll sand and apply the second coat. Tomorrow night and all day Saturday, I’ll be fiberglassing the outside hull. Once that has cured, I’ll flip it over in order to build the interior walls and attach the decks. Then, I need to attach and fiberglass the decks. After that, I need to get this painted while I build the rowing seat mechanism and the oar outriggers. I sanded half of the boat and left the second half to complete tomorrow. I also stitched the top decks and the deck support beam. Due to the time required to fiberglass the hull, I will need to wait for Saturday so that I have sufficient time to dedicate at one time. Also today, I received a great gift to help keep me in shape at work. Debbie Van Ooteghem gave me a Bullet Blender to mix my protein shakes, yum… 😦 I’ll put this int he kitchen and share it with the third floor or anyone that wants to come up. Things are coming along great. I will most likely be at the completion point of the fiberglass and interior by the end of the weekend. I could really use some help with the painting. If anyone knows of someone who could paint the boat, please send them my way. Initially, I am painting the boat all white and will wait for a potential sponsor to sign up and then determine the accent color. This may be accomplished with a vinyl wrap instead of paint. Again, if anyone know of a company that could help with a wrap, please let me know. Also while at work, I received a waterproof marine radio that I will use to monitor the lake conditions and call for help if needed. This was contributed by the same benefactor that provided the rowing life vest. I hope I don’t need to use the radio, but it will definitely put some minds at ease, both mine and those around me. After work, I was able to lay the remaining fiberglass and seal the interior of the boat. Thanks to my wife, Rafaela, for the help applying the fiberglass… I’m sure this is the last thing you wanted to be doing on a Monday night. This will take 24 hours to cure, and by tomorrow I can flip the boat and work on the outside of the shell. This will require lots of sanding and the application of the outer fiberglass. I expect this process to take two days, one to sand / clean and the second to apply the fiberglass and cure. Stay tuned for a post tomorrow on the boat progress and other updates. Found another helper. Thanks mom. Much needed help, thanks dad. In my quest to find a primary corporate sponsor, I out together some custom renderings of the finished boat with some example brands featured on the shell. Please take a look at the various examples. If you know of any sponsors that care about supporting childhood cancer research, please share this page with them. This is a great opportunity for a corporation to show their support for Lurie Children’s and make a real difference in a great way. Also, if you know of any companies that may be interested in supporting this cause, please let me know and I will create a custom rendering for them. Today was another productive day. I was able to leave work early and beat the traffic home, so I gained an extra 45 minutes to put towards the boat. I work for such a great company that supports and enables me to fulfill my passion for this cause. I was starting to feel the stress of working out, building a boat and soliciting sponsors, but then I think of the cause and I know this is nothing in comparison to what the families and kids with cancer go through each day. Today was a big day… I started out the day with training at lunch. I am so grateful, and have been so lucky, to have both a strength coach and an elite gym dedicate their time and facility to help me reach my goal to solo-row across Lake Michigan. Their contributions have enabled me to gain access to otherwise unavailable resources. 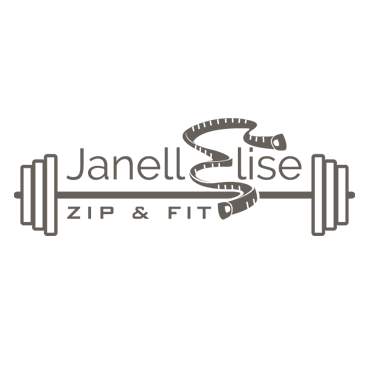 Janell Arroyo, http://janellelise.com, pushed me to limits that I never knew actually existed. She has agreed to work with me, in a highly compressed timeline, and prepare for the row. She has gone above and beyond to create a rigorous schedule of strength endurance workouts that will help to prepare me for the 65 mile row. I was not really aware of this, but training for a physical activity like this would normally take 9-10 months… We are trying to compress that into seven weeks. 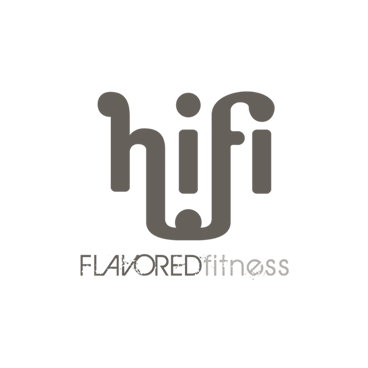 HiFi Fitness, http://www.hififitness.com, has also graciously donated their facility to allow Janell and I to work together. Their facility is by far the most well rounded and well equipped facility I have have ever been in. These contributions are beyond appreciated, although I am a little worried how I can keep up this pace. Also today, I received the boat in the mail. Having neither built a boat, nor really built anything, this boat is going to very challenging. I successfully completed day one which included unpacking, inventory, and epoxy stitching the primary boards for the base and boat walls. Stay tuned for further updates and photos of the progress. More than anything at this point, I need help spreading the word. This journey will have such a positive impact on so many kids. To be a bit transparent, I am worried about all that remains, but I am giving this everything I have. Lurie’s helps so many kids and is leading research in childhood cancers. Getting ready to stitch and epoxy the longest lengths. This has a 24 hour curing process, so I need to complete it tonight. The boat arrived today! At least I think it’s a boat… Thanks Angus Rowboats for helping out with the cost and for shipping it out so fast. Over the next week(s) this will start to look like a boat. Stay tuned for constant updates and photos. 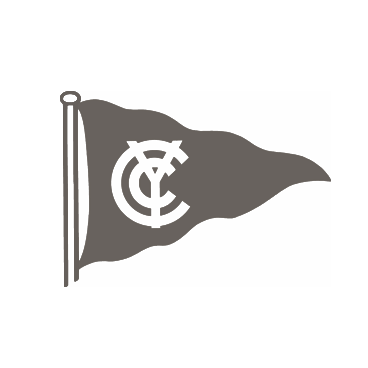 Just left the Lincoln Park Boat Club after receiving my new member orientation. Much safer place to row and practice than the Des Plaines River. I start on the boat building Monday night. I will post some pictures as I start and throughout the “progress”. For having neither ever rowed or built a boat, this will be quite an adventure. There is not much time remaining, so please share this with your friends. I believe that we can reach our goal for Lurie’s. The boat is on the way. If anyone wants to have a boat building party, let me know, I can use all the help I can get. While I have been training on open water, I quickly realized that I need to be training on the actual boat I will be using for the journey. I found Angus Rowboats to be very helpful in determining the right boat for me and for this trip. This morning, I made the donation necessary to buy the boat and placed my final order. My hope is that after I build it, and complete the journey, I can sell it or auction it off for additional funds to be raised for the cause. 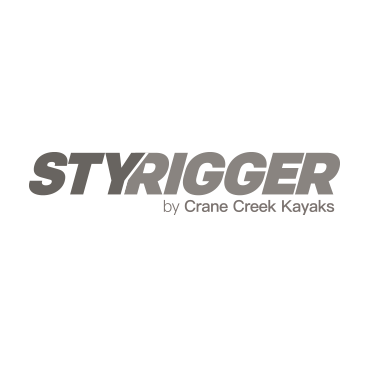 Take a look at the short video produced by Angus Rowboats that demonstrates the design and versatility of the boat I am going to build. I found a training boat! Thanks to Craigslist, I found a used boat I can use for training while I build the boat I’ll use on the actual row. The plan is to row the Des Plaines river in order to build up the stamina necessary to make it 65 miles nonstop. If you see some random guy rowing the river, it’ll be me. I have never seen anyone on that river in my life, there may be a reason… If I find out why, I’ll share. So after weeks of research and discussions with Angus Rowboats, it has been determined that I will build a RowCruiser Expedition instead of going with the standard RowCruiser. This is for several reasons, but primarily for speed and stability. Attached are some initial renderings of the boat. 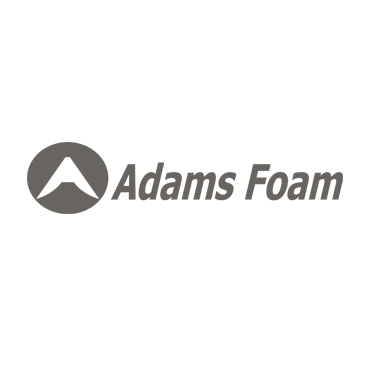 These were produced to help solicit sponsorships by demonstrating the logo placement they would receive. As we get sponsors signed up, I will update the rendering and share the vision for the finished product. I just finally realized how crazy I am. This row is 3 times the distance of the English Channel. What was I thinking???? Be sure to support Lurie’s for this row. 100% of funds raised will go straight to Lurie Children’s, I am covering all expenses for the boat, training and logistics. Please do what you can, or “like” this page and share with your friends. My name is Jake Beckley. In September of this year, I’ll embark on a personal journey to make a difference, because one person can. I’m solo-rowing across Lake Michigan in order to bring awareness and financial support to an underfunded form of childhood cancer, Neuroblastoma. 100% of all donations go directly to a remarkable research lab at Lurie’s Children’s Hospital of Chicago. 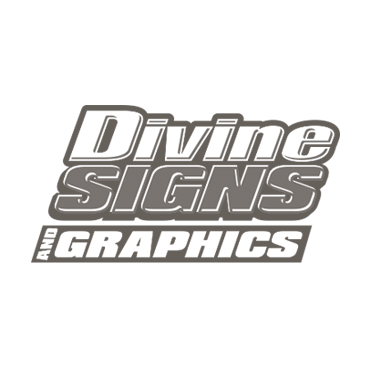 By contributing just $500, your company will have its logo prominently placed on the boat, as well as on any marketing materials and clothing. There are other sponsorship levels available if you are interested. Lot’s of progress has been made on determining the best approach for the boat that I’ll use for the row. 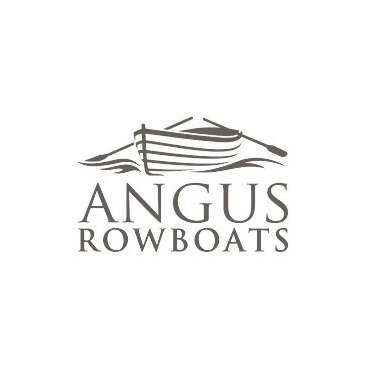 After speaking with Julie Angus of Angus Rowboats and a few other reliable sources, it has been determined that I will use either an Angus Rowcruiser or an Angus Rowcruiser Expedition. This looks like a great option, in fact, Colin Angus is currently racing his boat in the Race To Alaska. So now for the complications. Both of these boats need to be built rather than purchased as finished. That will add a high level of complexity, yet personal gratification, to this endeavor, but it also complicates things in terms of timing. A boat build like this will take a minimum of 2 weeks for an accomplished full-time boat builder, I am far from that… This will most likely take me 4-6 weeks on night and weekends. I did however get an amazing break over the weekend. I was able to track down a current owner of a built Rowcruiser. This was not an easy task, but I got several referrals and made many, many calls. It seems that everyone who builds one of these boats ends up never wanting to sell it. They are a one-of-a-kind boats, and never go on the market. I spoke with an overall great guy and a retired extreme adventurer living in Florida. This is where things got a little bit crazy… I offered to buy his boat, or better yet, rent it. As I expected, there was no way he would sell it to me. I plead my case for needing a boat, being unable to find one already built, being short on time to build one myself and train at the same time. I shared the goal of my journey, to solo-row across Lake Michigan in order to create awareness of a horrible form of childhood cancer. In the end, not only did he offer to loan me the boat, but he offered to trailer it up to me from Florida. This is guy who uses this boat on a daily basis, it is not hanging in his garage collecting dust. It is difficult to understand the generosity and compassion that some people demonstrate each day, going out of their way to do good, to help others. It made me contemplate again about why I am doing this dangerous, and maybe “stupid” thing. There is so much good that comes out of those who believe they can make a difference. I have exited my comfort zone and am tackling several personal barriers in order to make a difference, water, boats, seasickness, endurance and physical tasks. We can all make a difference, whether it’s from the things we say, the things we do, or the way we act. Not everyone has the means to donate monetarily to a cause, but everyone has the ability to make a difference. Everyone, in their own way, can make a difference. So now to the problem… This generous benefactor in Florida is retired, far from Chicago, and uses his boat on a daily basis. I feel sincerely horrible about the thought of using his boat for an extended and indefinite period of time, having him contribute this for nothing, and volunteering to drive it up here. So, I think the best option would be for me to continue to head down the path of building my own boat, but leverage his boat for a shorter time period while I build one. That way, he would be without his boat for a shorter period of time, and I would not be overly rushed to expedite the boat build to start real water training. Once the new boat is built, I would drive his back to Florida and return it. If someone has any other ideas, please let me know, this has been keeping me up at night. 10 miles on the rower this morning. Lots of training to do in order to get to 100km per day. I’ve been working on some corporate sponsorship opportunities for Row4aCure. There seems to be lots of interest, but just on the products and services side of things, not monetary. I am putting together a document with the help of the sponsorship team. Once this is ready, I’ll distribute it to everyone. We could really use your help with getting the word out there. 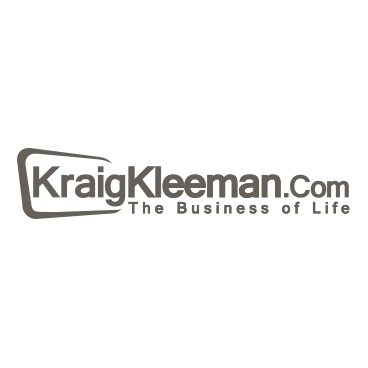 The benefits to a company for becoming a sponsor are truly significant. I only hope we get as many sponsors as are on the back of this shirt… Reach out to sponsorship@row4acure.com for more information. Thanks to the donor for giving me this rowing life jacket. It will definitely provide some comfort to those around me, knowing that I’ll wear this. As I said before, this is getting real. Next week, I’ll be making the decision of which boat to purchase and donate to the cause. Once I get more information on that, I’ll be sure to share it.